“I need a holiday and I need one now!”. Harry was 10 months old. 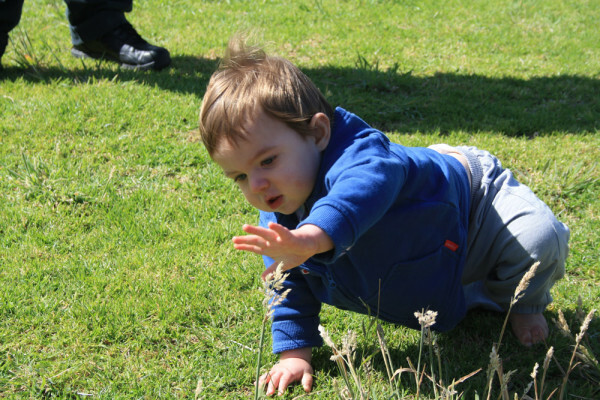 I had spent almost a year with a colicky and reflux baby who cried a lot. 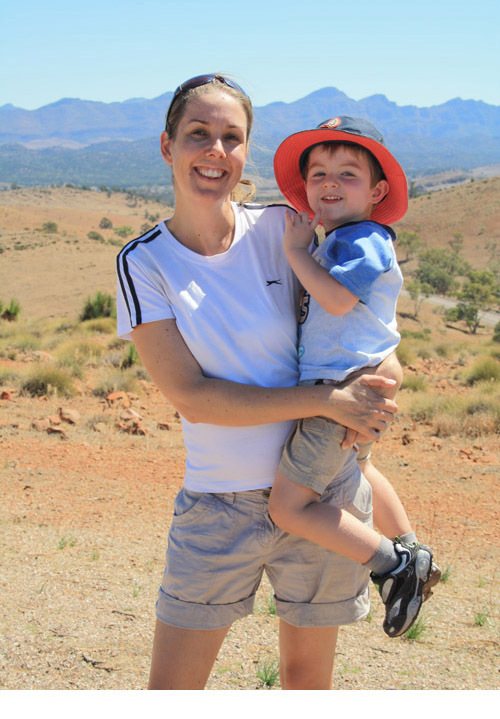 And I hadn’t been on a trip away since the previous year to North Queensland when I was pregnant. I needed a change of scenery, an adventure, somewhere I haven’t been before. 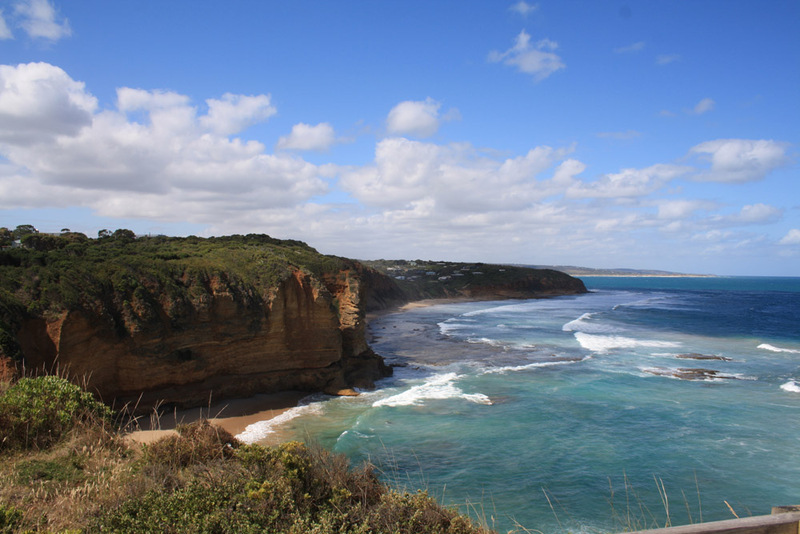 “I want to go the Great Ocean Road”. Chris looked at me as though I’d gone a bit mad. But I had thought about this. Harry would be Harry whether we were at home or away. I on the other hand needed to recharge my batteries. I would definitely be better after a trip away. 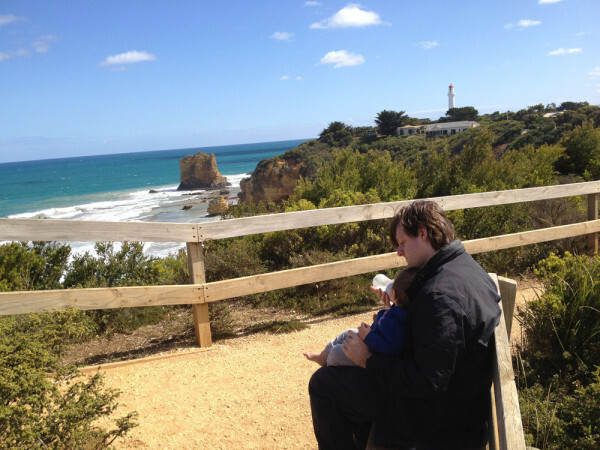 And so we found ourselves sitting on a flight to Melbourne with our 10 month old. Thankfully the flight was pretty uneventful, and after picking up our hire car we were on our way. By the time we get to Geelong I realise that there are going to be more stops on this trip than I had originally planned for. 10 month olds get cranky when restrained in car seats for more than 30 minutes. They are also hungry, thirsty and need nappy changes constantly. So after a play by the waters edge at Geelong and some lunch we are back on the road. 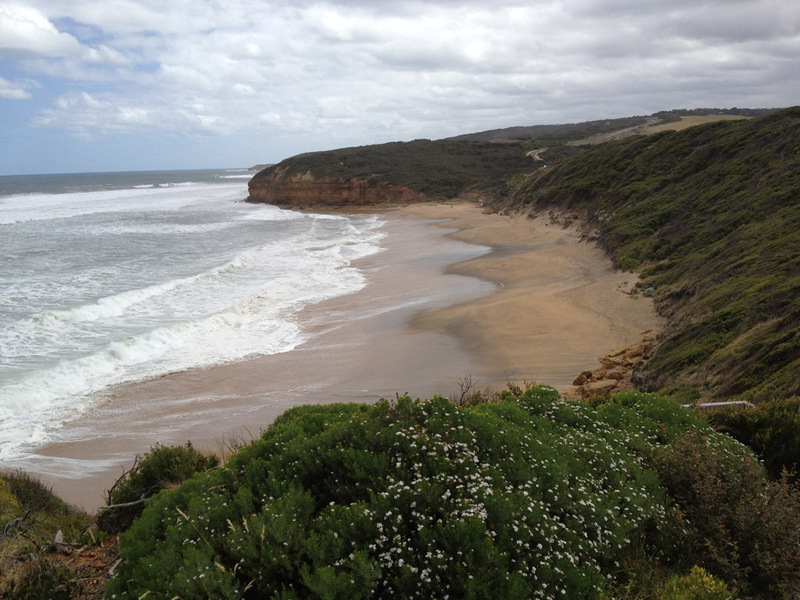 Next stop the famous Bells Beach at Torquay. Far out brussell sprout. The wind is blowing a gale and we nearly get blown sideways. It starts to drizzle so we get back in the car. No walk here today! Never mind. On towards Lorne we go. I have planned to spend a couple of nights in Lorne followed by a night out at Port Campbell. As we drive on the sun comes out, and the wind dies down. 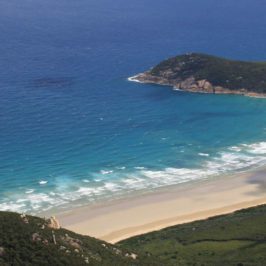 I see a sign for Aireys Inlet and the Split Point Lighthouse. 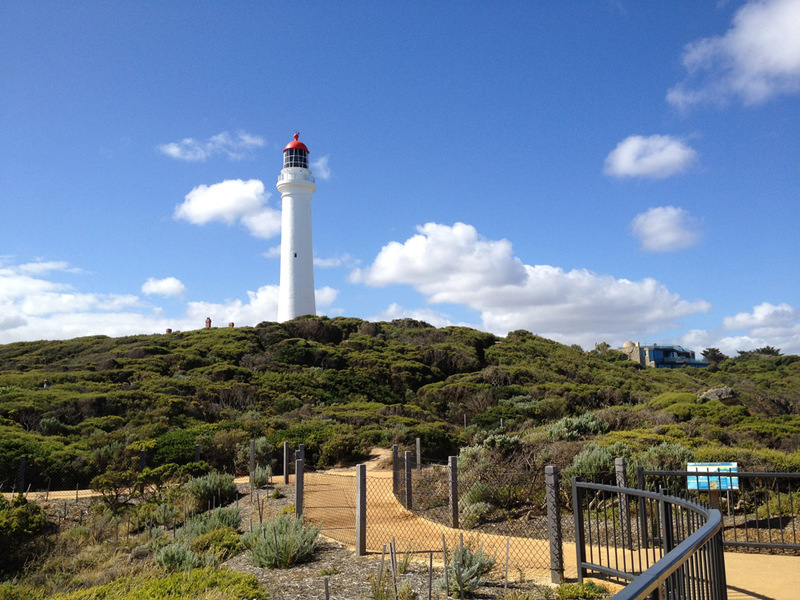 I always like a good Lighthouse and coastal walk, so we turn off. “Wow, this place is just beautiful. Look at the lighthouse! This lighthouse looks very familiar”. A theme song from a favourite chidhood TV show starts playing through my head… “Have you ever, ever felt like this, have strange things happened are you going around the twist”. 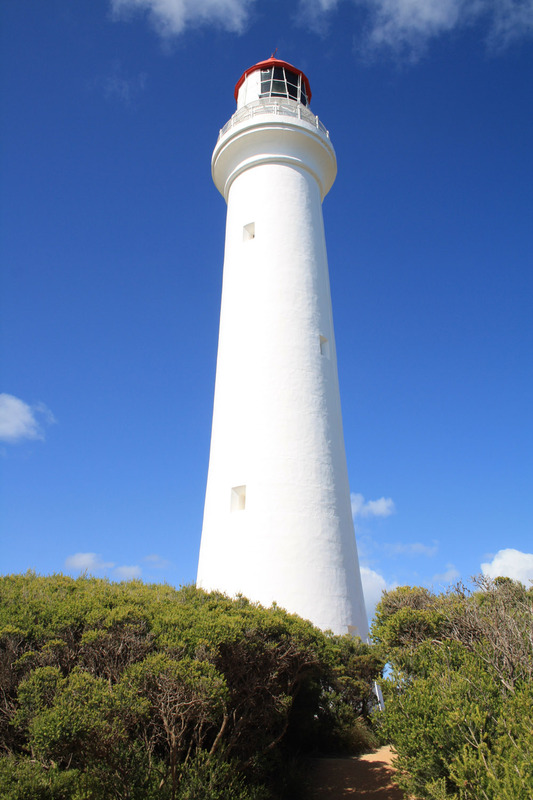 “This lighthouse looks like the Round the Twist lighthouse”! I exclaim. Chris stares at me blankly. “You know? The lighthouse from the TV show Round the Twist”? The blank stare continues. I race off up the hill leaving Harry crawling around trying to eat grass at Chris’ feet. “I’m going to read the information sign!” I yell back over my shoulder. I get to the sign and quickly scan the words. It is the lighthouse used in the Round the Twist children’s TV series! Chris and Harry come to stand next to me. I am staring at the lighthouse in awe. I have just been transported back to my 12 year old self. I am standing in front of the lighthouse that was used as the set for my favourite show as a kid. I educate Chris on what a great kids show he missed in his youth as we wander around. Split Point Lighthouse (aka the Round the Twist Lighthouse) was completed in 1891 after 10 ships had met their fate on this rocky, treacherous but spectacular coastline. 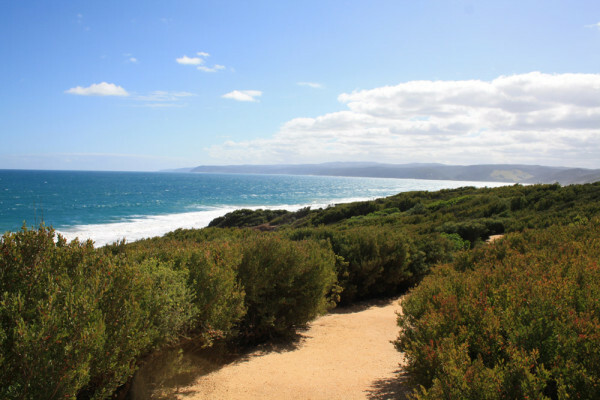 We decide to walk part of the 3.5 km Aireys Inlet Cliff top walk which follows the limestone sea cliffs from the lighthouse all the way to Sunnymead Beach. As we meander through the cliff top vegetation, we stop at a number of viewing platforms to take in the views out over Eagle Rock Marine Sanctuary. 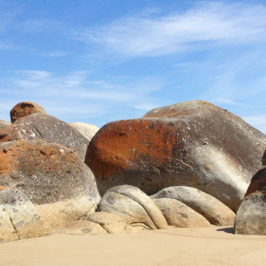 At low tide you can head on down to Steppy beach to check out the sub tidal rock platform, but we give that a miss today. 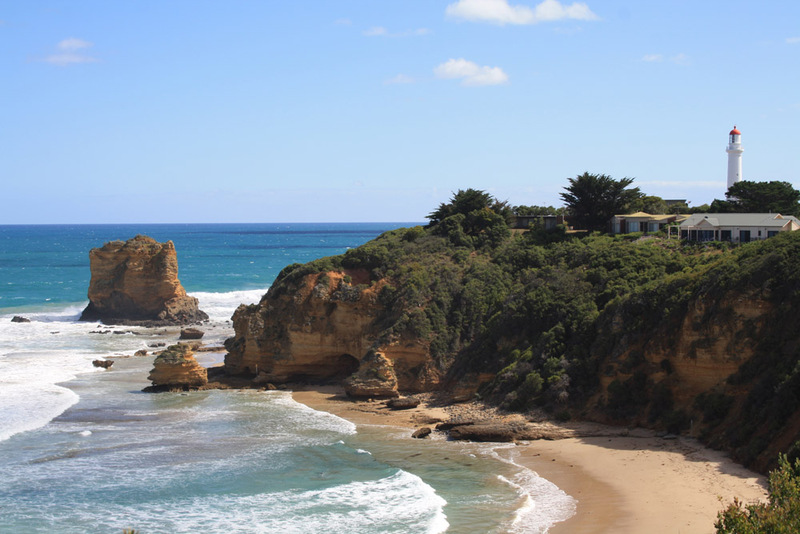 This beautifully scenic walk is a great introduction into what to expect along the Great Ocean Road – cliffs, gorgeous rock formations and of course the magnificent big blue southern ocean. By the time we return back to the car I am thoroughly captivated. 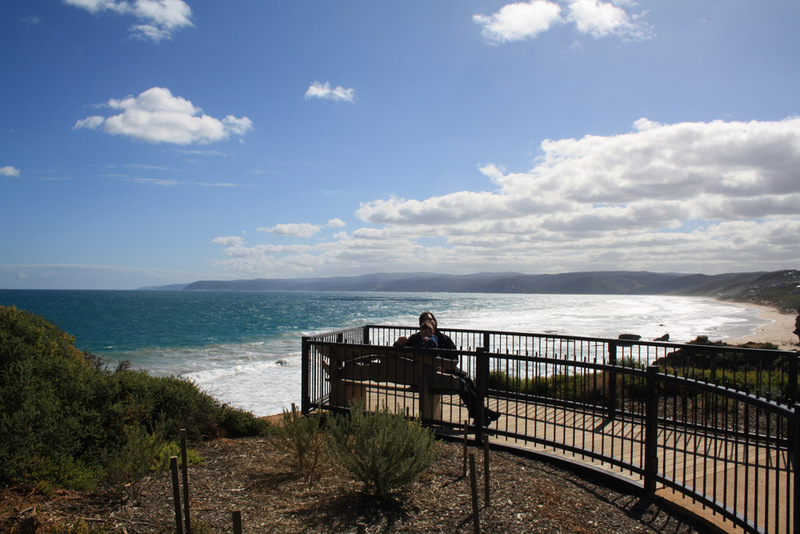 Its only the first afternoon of the first day of our Great Ocean Road adventure and I know I am going to be blown away by what we see on this trip. I feel alive with anticipation. Late afternoon has crept upon us so it’s time to keep moving, onto our accommodation in Lorne. The drive along the Great Ocean Road to from Aireys Inlet to Lorne is amazing. My only complaint would be there are not enough places to pull over and check out the view along this section. We round a corner and the calm waters of Louttit Bay come into view. The seaside town of Lorne is very pretty with its calm beach, coastal walk and pier. We are staying up at Pierview apartments near the hotel. We drag our bags up to our apartment and look out the window. Wow. What a view. This accommodation is a bit old and very basic but I got it for a great price. The view more than makes up for the lack of luxury (note: we enjoyed our stay here so much we came back and stayed here again the following year). Its been a big day for Harry so we decide to grab some local whiting and chips and eat on our deck overlooking the bay. As day turns into night I can see the Split Point lighthouse in the distance and the lights come on on the pier. 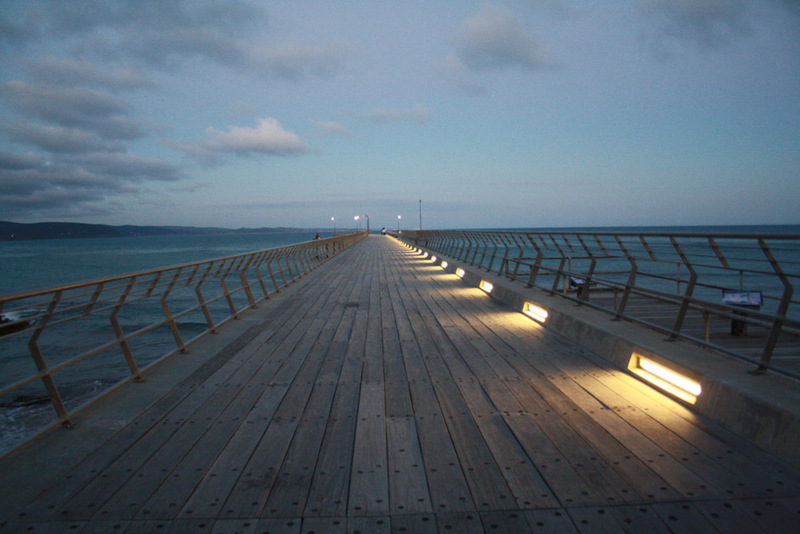 We enjoy an after dinner stroll along the waters edge and watch the fisherman hauling in their catches from the pier. To say I feel relaxed is an absolute understatement. This is exactly what I needed. 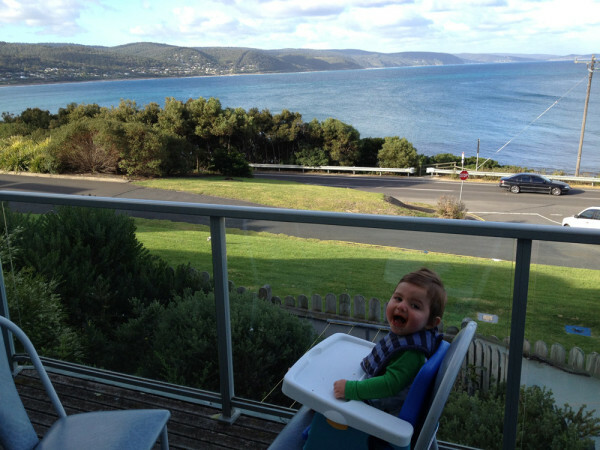 Tomorrow the delights of Lorne await me. 120 kms SW of Melbourne. I have to say you give me hope Jane that you managed to survive a challenging baby and toddler! As for you being an old fogey – hardly! 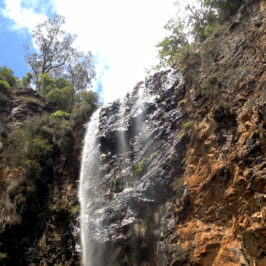 Your state of mind and passion for bushwalking and adventure will keep you young 🙂 I do hope you can make it down to the Great Ocean Road one day its an amazing place. 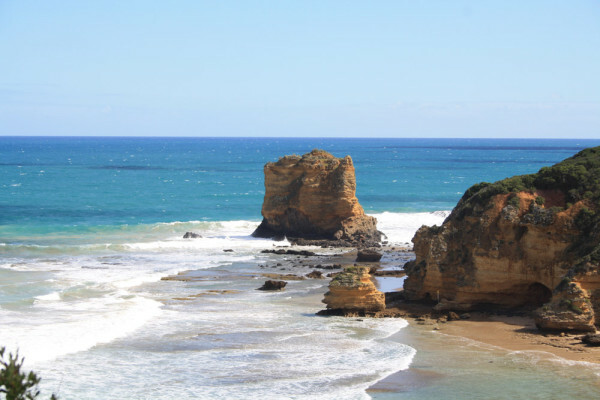 I am sorry but I plan on contributing to your wanderlust for this area in my next few posts which will all be about the Great Ocean Road. Its funny, you visit our coastlines to get away and we visit yours. 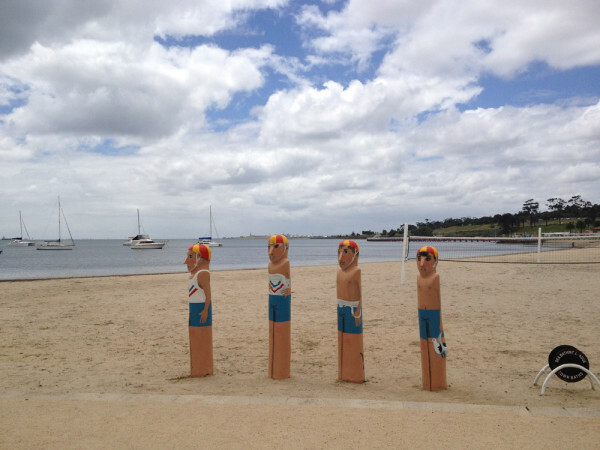 Actually we are in mt Martha but love Adelaide, in fact Katie, my fiance’s mother is an Adelaidien – if there is such a word. Great people. Yes its a great coastline as your pictures attest with a few nice wineries, i.e. Scotchmans Hill and a few other interesting ones on that side. 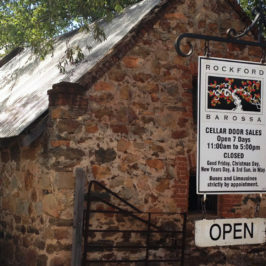 Make sure you come down our coastline next time and check out a few vineyards in redhill. Not big wines and in fact they are going thru a boring low oak early picking lean style wine period. Hopefully they come to their senses quickly, as Redhill isn’t the Malborough. Anyways thanks for the post. 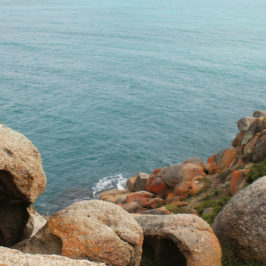 Hi Adam, I live in a seaside town near the Qld/NSW border and we have lovely beaches here too, but not the amazing sea cliffs like down south. We actually did visit scotchmans Hill out on the Belarine on the way back to Melbourne at the end of that trip, was a nice winery. “Have you ever, ever felt like this? 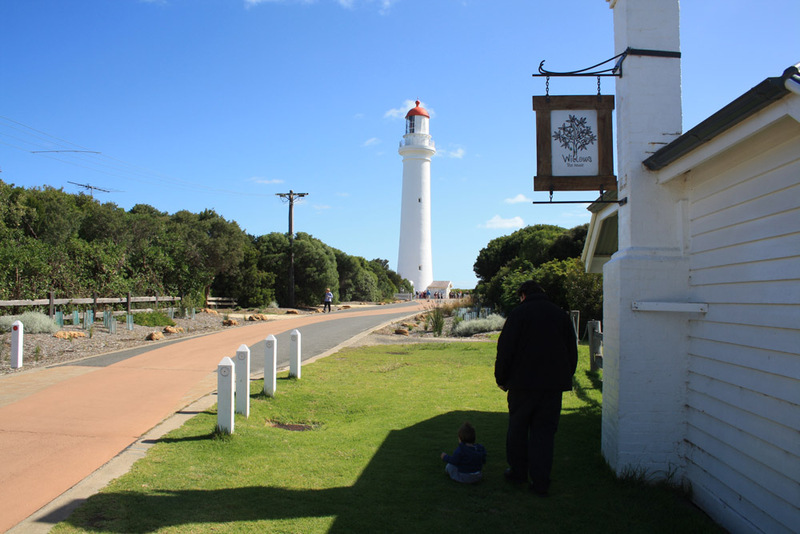 Strange things happen when you’re going ’round the twist”. But yes, I do remember the show. Not very well (I couldn’t tell you any of the characters names), but I really enjoyed it at the time. I had a similar sort of reconnection with the past when we went to TMAG (museum) in Hobart and I saw CC the Computer Cat from Hunter. I don’t know if you ever watched that? It was something we watched at school in years 3 & 4. 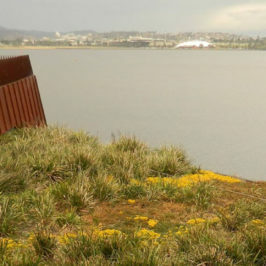 It was filmed in Hobart where TMAG currently is. I loved that show. Nope – you were right. I just realised my reply to your comment didnt get posted! I am glad that invoked the memory of a fantastic show for you 🙂 I actually went out and bought the boxed set of DVDs after visiting the lighthouse, and yes seasons 1 and 2 are as good as I remember. Its great to get transported back to your childhood self isnt it? We recently drove the Great Ocean Road from Lorne back to Geelong just before New Year with our littlest child (who’s 22 years old and unnecessarily tall, tends to grumble about small cars). The cliffs really are spectacular. We had it to ourselves in a beautiful sunset hour. Back in the day, I found travelling with little children a revelation because you absolutely HAVE to stop and appreciate things along the road while all the adults whizz past, seeing nothing.